I’m lucky enough to live in South Florida where we can grow things pretty much year-round. 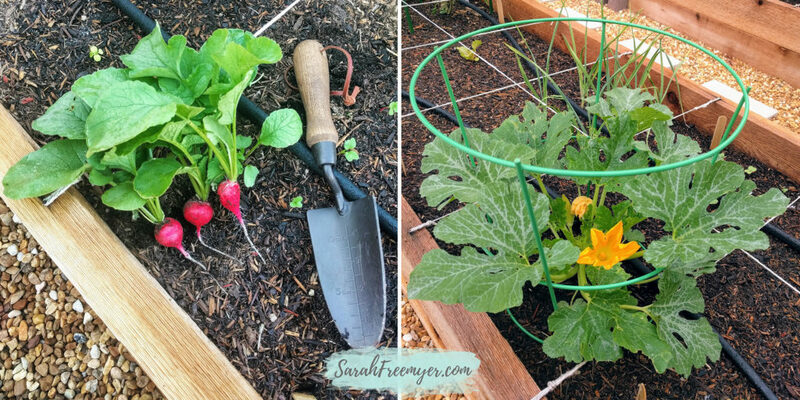 Having a vegetable garden was a goal of mine for when I became a homeowner. I’m not saying that you can’t grow any vegetables if you don’t own a home, but a few containers on your balcony is very different from a large backyard garden. 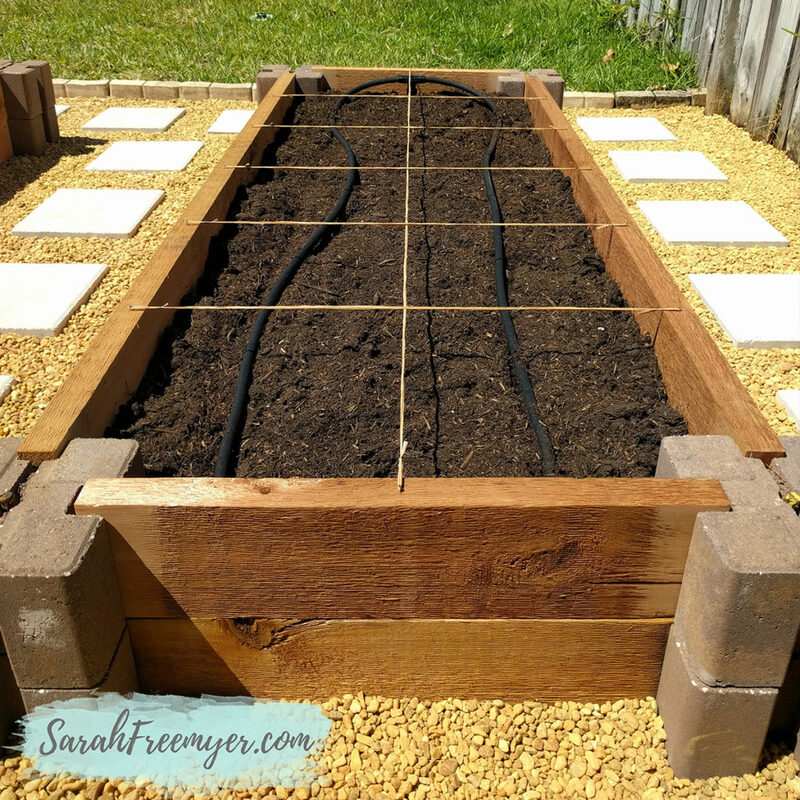 I wanted to build a couple of raised beds so that I could start square-foot gardening. 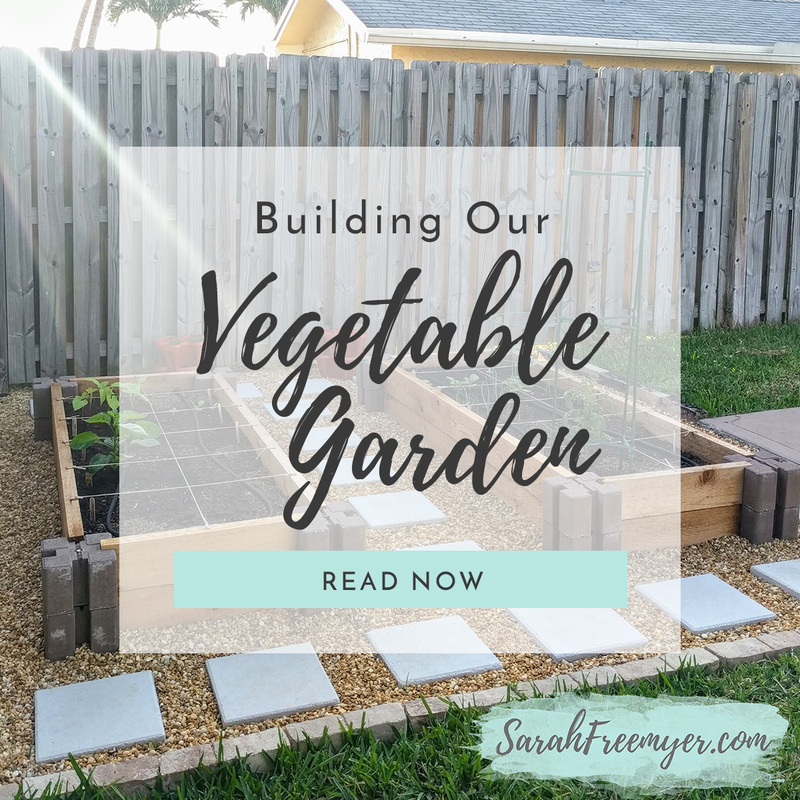 I put a lot of thought and planning into where my garden would go and how I wanted to build it. I picked the Northeast corner of our yard, where it would be out of the way but still get full sun. There was a sprinkler head in the center of this space that we planned to retrofit for a soaker hose to water the garden. We got to work removing the grass from that area which was the absolute hardest step! We tried to cut the grass in squares and pull it up as sod, to be replanted in a bald corner of our yard. We were mostly successful, but it was back-breaking work. We leveled out the ground and put down a weed-block layer. We put in a row of bricks to give a clean edge between the grass and our new garden. 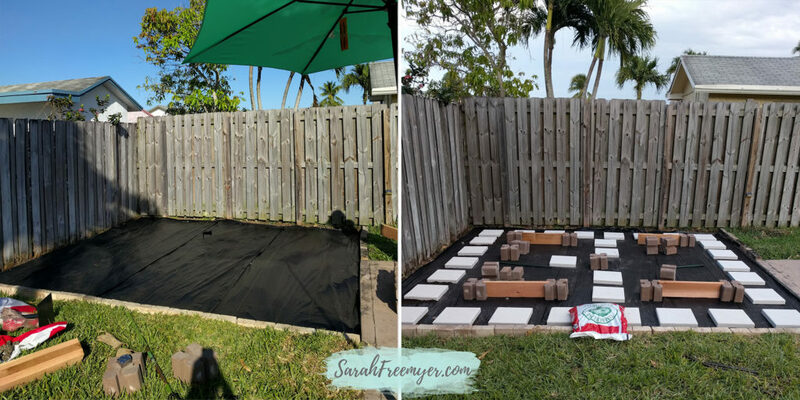 We tested out the placement of the stepping stones and the boxes. 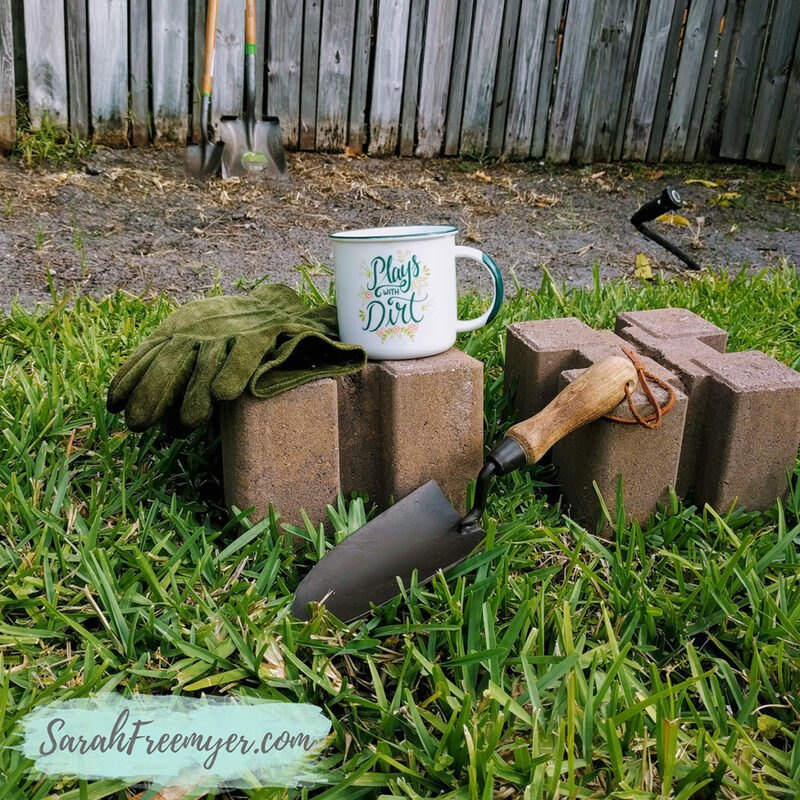 Once I was happy with the final layout, we finished assembling the boxes.To build the boxes we used 2×6′ raw cedar and these cool corner bricks that they sell in the garden center at Home Depot. Since we stacked them in two layers, we drove a piece of rebar into the center of each brick to secure everything in place. 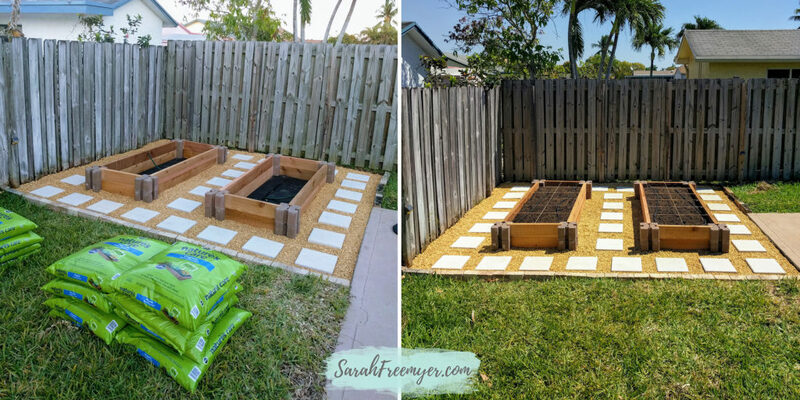 We used pea gravel to fill in the space between the stepping stones and we filled the boxes with soil. We ran a “T” shaped hose from original the sprinkler line to a valve in each of the boxes. This way we could shut off the water to one or both of the boxes without affecting the rest of the sprinkler zone. We got a soaker hose starter kit that came with a variety of pieces. It was very easy to cut the hose and attach the fittings. Here is the finished project! 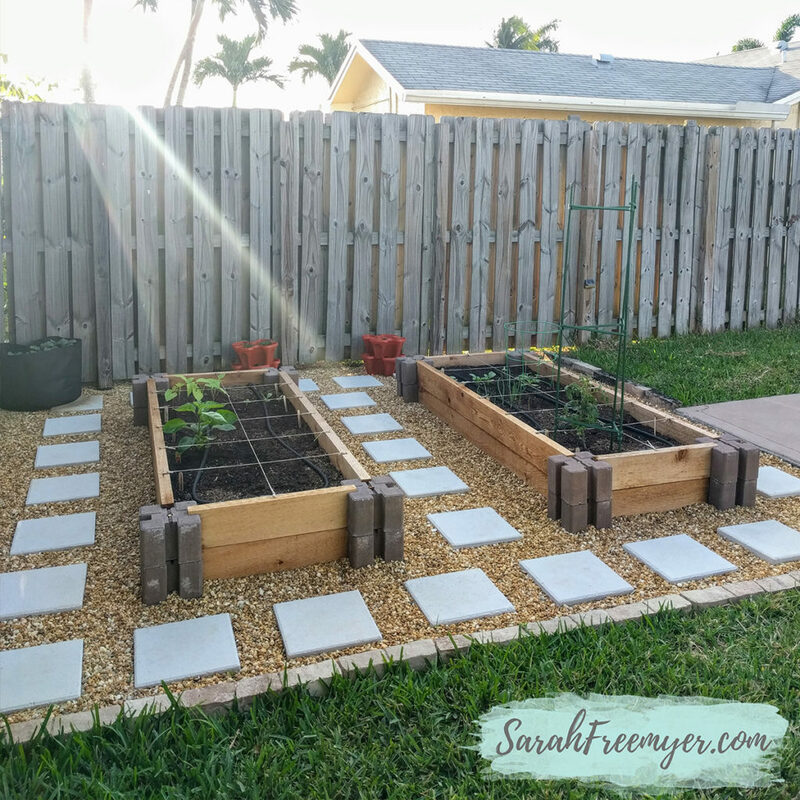 I now have two 2×6 raised beds which allow me 24 square-feet of growing space. Time to get growing! I mostly planted seeds, only using a couple of starter plants, and could barely contain my anticipation as I waited for them to sprout and emerge from the dirt. Radishes were the quickest crop, but this zucchini plant grew very quickly from seed to a monster. I’m so happy with how everything turned out and it’s a great excuse to spend some quiet time outside taking care of everything.